A bear which has been held at a tourist site in the Central Highlands province of Lam Dong has been rescued. The provincial forest protection department and Four PawsViet organisation have received the bear from Prenn Fall tourist site in Dalat City. The 16-year-old bear weighing 83 kilos has been kept at the site since 2012 when it was handed over from a local household. The animal was mainly used for as a tourist attraction at the site. Bears in Ben Tre and Dong Nai provinces have also rescued been and brought to Ninh Binh Bear Sanctuary. 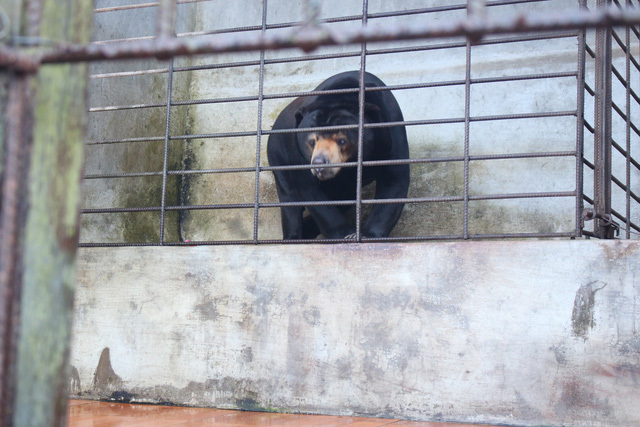 Director of the Four PawsViet Ngo Thi Mai Huong said that the centre tried to call on individuals and organisation to transfer bears which are still being kept to Ninh Binh Bear Sanctuary to be taken care of. According to Four PawsViet, at present, nearly 800 bears are still raised at households and tourist sites nationwide, including five in Lam Dong and 90 in Dong Nai Province. The Vietnamese government agreed to a plan with non-profit group Animals Asia in 2017 to shut down all bear farms in the country and move all remaining captive bears to sanctuaries.